You know when great Harcourt cider minds like Drew Henry (Henry of Harcourt), Adam Marks (Bress) and Simon Frost (The Little Red Apple) get together, something special is bound to be made. This collective of highly regarded cider makers banded together to create Harcourt – Perry and Cider Makers. Harcourt is apple growing central, located an hour and a half North West of Melbourne, Victoria. The new cider venture utilizes eating apples and pears from Harcourt and is purposely made towards a more commercial styled cider. 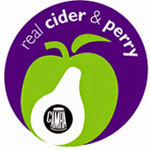 With the region currently experiencing tough times, the new cider and perry is bringing in precious revenue for the fruit which may have not been sold at all. Both Drew and Adam make more traditional ciders with heritage apple fruit under their respective labels. So to make a mass produced, eating apple style cider would have to be something very new and different to them. I do say ‘mass produced’ as Drew Henry himself stated that the Harcourt label will produce between 200,000 to 250,000 litres of cider and perry this year. 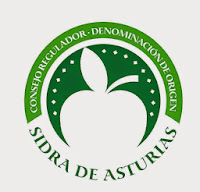 But the apple cider prides itself on being all natural and exclusively made from real fruit. The cider is also labelled as ‘traditional and farmhouse’, which in my eyes is a little surprising and arguably incorrect. I will explain later. The cider poured a nice light straw and was filtered clear. There was a huge explosion of artificial carbonation, which died fast into a light bead. The nose showed lifted varietal Pink Lady aromas, along with pineapples, tropical fruits and rose petal. There was also some evident fresh pear notes, which may indicate some being added in the final blend. I really liked the fresh, crunchy apple flesh characters which were well balanced with some wild ferment funk (the cider was produced by wild fermentation in old oak and in stainless tanks). The freshness and cleanliness of the wild ferment character was pleasant to see, and did offer up a tiny - and I do mean tiny bit of complexity. I did pick up on a slight stewed, cooked note which I thought may have been Golden Delicious at first, but most likely was a result of pasteurization. The palate seemed a little ‘put together’ for my liking. There was a nice amount of balanced medium sweetness, but it was evident that juice was used to back sweeten. It just tastes a little fake, especially with some interesting, but structural sherberty/wiz fizz Granny Smith acidity. There were some nice flavours of pineapple, pear, musk and citrus, along with a pleasant creamy mouth feel. But the palate as a whole was quite basic, with no outstanding textural components, very light in weight and with no back palate length. Just seemed a little wishy washy and one dimensional for my taste, but that was the style it was made towards. So all in all, the cider was a half decent drop and definitely fits in well with all the other gazillion commercial ciders available in Australia. The pedigree behind it would blow your mind, but to be honest, although this cider is selling like hot cakes, I’d still be drinking their ‘real’ stuff before this (especially if you're after real traditional cider). Nice review. The farmhouse style is definitely obscure, even over here.